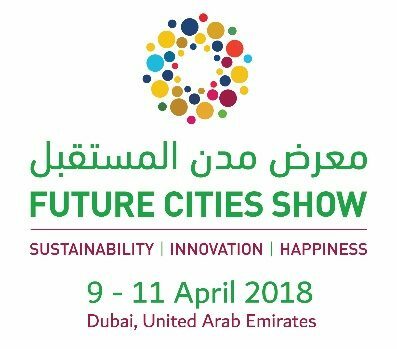 The second edition of the Future Cities Show, that will take place in Dubai, UAE, from April 9-11, 2018, will set the tone for smart cities through the three pillars – sustainability, innovation, happiness and showcase the future of urban life. With a theme of achieving sustainability through innovations, the show will showcase the cities of the future by highlighting the latest and the most innovative technologies that will change the future. As the worldwide smart cities movement gains momentum, Future Cities Show reflects and also presents the transformation of urban societies, infrastructure and environment that currently hosts more than 54 per cent of the 7.5 billion people and uses 75 per cent of the power generated. A recent white paper, Evolution of Smart Cities and Connected Communities, co-sponsored by the Consumer Technology Association and the United Parcel Service (UPS), says, market value of smart cities is expected to jump from $14.85 billion in 2015 to $34.35 billion by 2020, representing a compound annual growth rate of over 18 per cent. The white paper found that a key driver of smart cities growth is the ongoing trend of global urbanisation. “With 70 per cent of the World’s population forecast to live in cities by 2050, the need for sustainable, liveable world cities is essential for a prosperous future,” said the report. More than 250 smart city projects are currently underway across 178 cities around the world, according to a new report from market research company Navigant Research, while hundred other cities are preparing to join the smart city movement. Future Cities Show focuses on education, wellbeing, knowledge sharing, collaboration among government-private-universities-society, user-driven innovation, livability discussions, sustainable energy solutions, sustainable economic development and sustainable societal development to drive the wellbeing of all nations. The three-day event, takes place within six months of the UAE’s announcement of the launch of a new cabinet portfolio – the Ministry of Artificial Intelligence and Saudi Arabia’s granting of ‘citizenship’ to Sofiya – a robot – the first country to make this move. Earlier, Dubai set up the World’s first functional 3-D printed office in front of the Emirates Towers Hotel – marking the beginning of Dubai city’s journey towards becoming a smart city. The emirate will host the Museum of the Future by 2019 that will offer a glimpse of future technologies and products. On top of these milestones, the introduction of electric vehicles, testing of driverless cars and the testing of the first flying taxi in Dubai marks the beginning of a new journey towards reinforcing & strengthening Dubai’s status as the smartest city in the world. Soon, Dubai might become the first city in the Middle East to allow flying taxis to carry passengers from one point to the other – that could influence architects and engineers design buildings with multiple landing balconies or landing pads for flying taxis and transport regulators to design safe air routes for flying taxis to avoid head-on collisions. Future Cities Show will be full of activities that include an exhibition that showcases innovative technologies and sustainable solutions as well as a conference that will discuss future technologies and how cities will be retrofitted with new sensors, energy saving systems, processes and change management. Dawood Shezawi, Chairman of the Organising Committee of the Future Cities Show – says, “The testing and introduction of robots, drones and flying cars indicate one thing – the future has arrived. We will see unprecedented changes, disruptions and challenges as well as innovative solutions emerging that will create a completely new urban environment where technologies will dictate our life, work and activities. “Future Cities Show will display, test, demonstrate and discuss future technology, Internet of Things and how they change the urban environment, systems and processes and help all stakeholders including – urban planners, architects, master-planners, engineers, scientists as well as consumers – see the future unfolding in front of their eyes. “As we witness the unfolding of the Fourth Industrial Revolution (Industries 4.0) in front of our eyes that is fast disrupting traditional industries, systems and processes and paving way for internet, artificial intelligence, virtual reality, augmented reality and cloud-based solutions, it is important to understand how the future cities will shape up and more importantly, how lives will evolve in the smart or future cities.